The Christmas Heirloom Company™ specialise in the retail, corporate display and wholesale of traditional decorations and embellishments to make your Christmas a memorable and luxurious experience. We provide a total in-store Christmas experience. 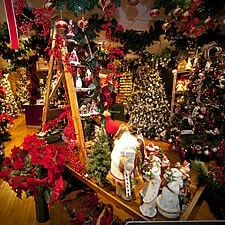 We stock the largest array of artificial Christmas trees, decorations and collectables in New Zealand.